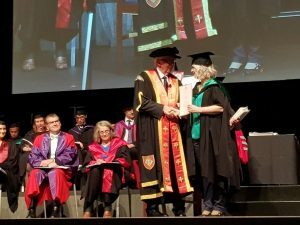 Something quite miraculous happened when I put on my academic gown and I walked across the stage to receive my testamur. I remembered, something I had forgotten: This is where I am meant to leave my mark in the world. It is time to plant my flag! If I am to make a difference to highly intelligent, creative, complex, sensitive individuals, first I have to recognise and acknowledge these attributes within myself. Then I must recommit to the path I chose four years ago. 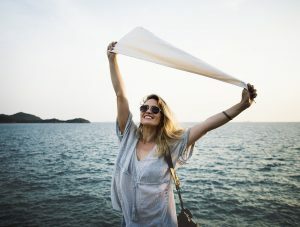 If I am really honest – the path I chose 25 years ago as an idealistic graduate teacher who ‘accidentally’ found herself coordinating the Gifted and Talented Program in a Secondary School. Relaunch! It is never to late to find your way home. I believe the rambling scenic detours are important. Nothing is ever wasted… I love those moments of insights when I realise that the crazy thing I said yes to was an integral part of the adventure. All my studies, my work at Victoria University, my coaching and a sprinkling of astrology and essential oils, have created this eclectic relaunch of my website and services. For the first time in years, it feels completely me. And that is exciting! What have you put on hold? Or forgotten? That leads me to you. Is it time that you planted your flag? Is it time you REALLY acknowledged the difference you are here to make? Sometimes this is easy. You just know! Sometimes it is much more complicated. You want to be an astronaut AND campaign for women’s rights, while writing your great novel and staring in a musical. Because all of those things are important to you. And I want to tell you that all of this is possible and planting your flag in all of those areas AT ONCE is a recipe for anxiety and inaction. Even if you dream is to have your own golf course! And that is depressing, because you end up berating yourself for making no tangible difference at all. You have to start somewhere. For me it was relaunching my website and writing this blog. Make a list of all the things that are important to you. Sit quietly and try these on – almost like putting on a jacket or a fancy outfit (it is ok to be inventive.) This will help you embody the feeling, the visuals and the sounds. How does it feel? Light, Heavy, Exciting, Joyful, Onerous… Trust the words you get and trust the feelings. You may want to write down some reflections. Which one feels the most important for right now? If you are still confused, imagine someone saying you can never do this again. What does that feel like? Once you have identified what is most important to you: What is one small step that you can take to ‘plant your flag’ in the next 24 hours? I would love to hear from you. Where are you planting your flag? To send me a message simply go to my contact page. If you are feeling completely overwhelmed and confused, I would love to help. 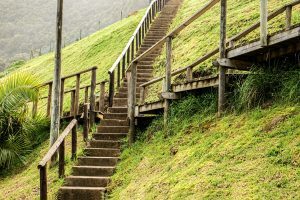 Book a Find Your Way Coaching Session and receive a second session for free! Simply send me a message and we can make a time to catch up over Skype, zoom or phone! This entry was posted in follow your heart, Gifted Education and tagged career, creative, gifted by giftedsl. Bookmark the permalink.